24 Comments This post may contain affiliate links. These Key Lime Pie Fat Bombs are full of fresh, citrus flavor and are a great source of nutrient-dense ingredients to keep you full and focused between meals! 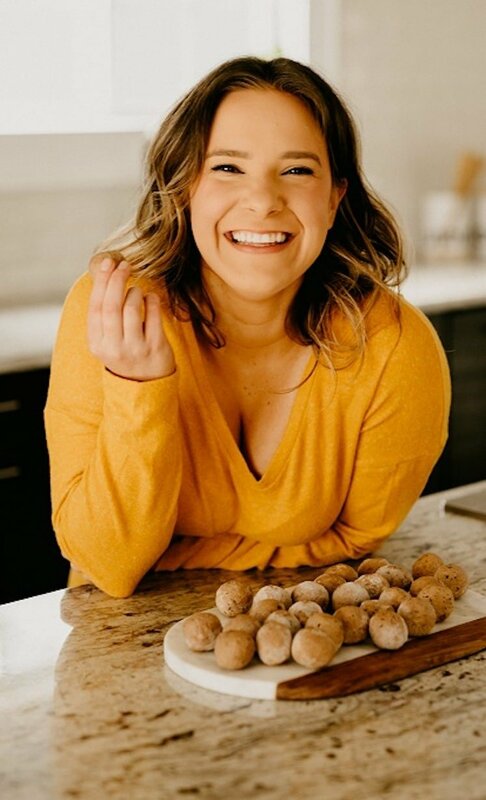 Fat Bombs to soothe your KLP cravings! I was thinking about this heavenly key lime pie that I used to enjoy growing up while vacationing in Gulf Shores, Alabama and knew that I needed to develop a fat bomb recipe version. 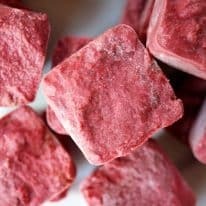 Why fat bombs instead of a traditional pie? Less carbs, bite size, and well… because I love fat bombs. These fat bombs are tart like a key lime pie should be, creamy, delicious, other impressive adjectives, etc. You’ll love them, I promise! This recipe is keto, low-carb, gluten-free, grain-free, dairy-free, vegetarian, vegan, and refined-sugar-free. Find more delicious keto dessert recipes here! 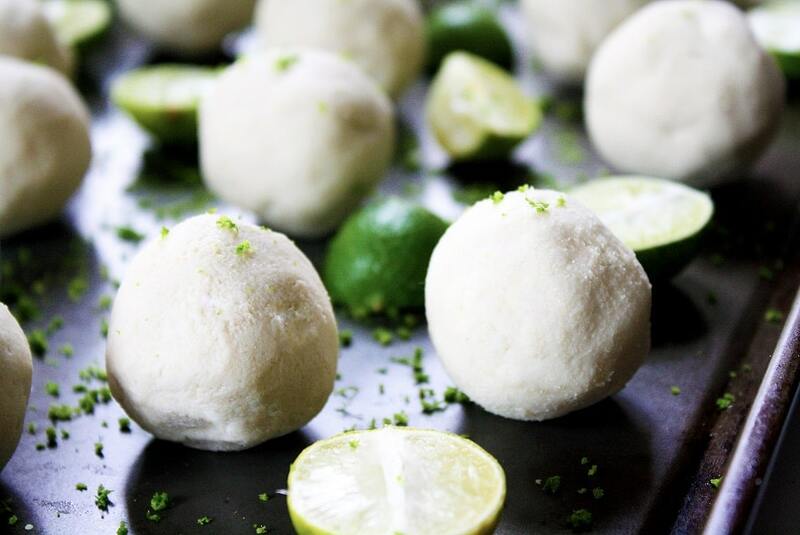 These Key Lime Pie Fat Bombs are a delicious vegan keto treat to satisfy your cravings for something sweet and tart! This recipe is keto, low-carb, gluten-free, grain-free, dairy-free, vegetarian, vegan, and refined-sugar-free! Combine all ingredients in food processor and blend until well-combined. Transfer mixture to medium-sized bowl and place in freezer for 20-30 minutes to cool (they may take slightly longer to cool if you chose to boil the cashews rather than soak). 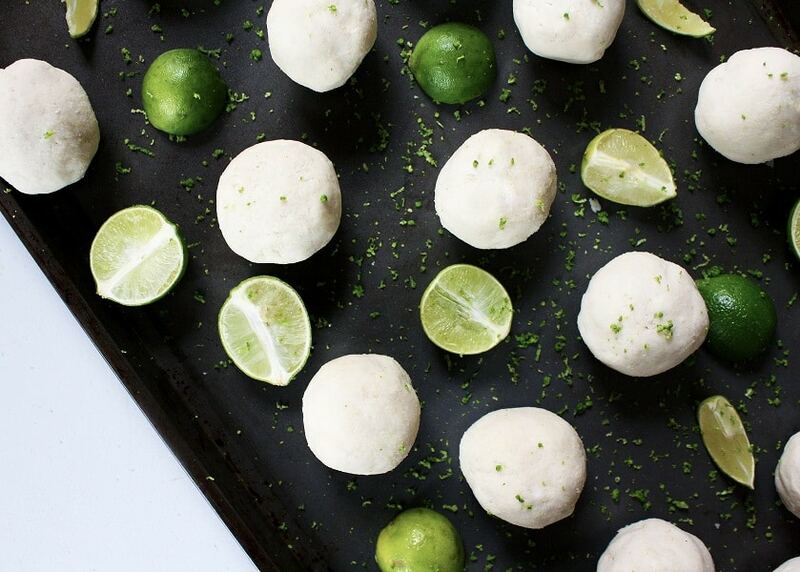 Remove mixture from freezer and form into balls. Place balls in freezer for 20 minutes to harden. I recommend putting them on a cookie sheet or plate lined with parchment paper to avoid the bottoms sticking. Remove from freezer once solid. Store in airtight container in the refrigerator or freezer (you’ll need to let them thaw for a little prior to eating if you choose to freeze them). If you use a brand of stevia that is different than the one I have linked here, you may need to add more. The brand of stevia that I use in this recipe is VERY potent and a little bit goes a very long way! These are absolutely delicious! The only change I made was using about quarter cup of swerve instead of stevia. Will definitely make them again thanks for sharing! So glad you enjoyed, Paula! Thank you for your comment!!! I would love to follow this recipe just as written and some of your others, but the link to the type of stevia you use is not taking me to a product. Can you tell me what you are using? Hi, Sharron! Sorry about that! 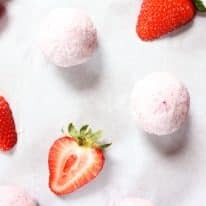 The stevia I was using in this recipe is currently unavailable on Amazon as the brand is going through a re-brand right now, so they took their products off of Amazon during the transition. The original brand name was Wholesale Health Connection (WHC). 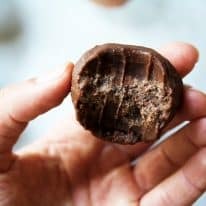 For this recipe, I would recommend just using whatever brand you can find at the store and start with a small amount, taste-test the mixture, and add more based on your preferences before chilling the fat bombs. is the coconut oil measured before or after melting? makes a difference! It is measured before melting (otherwise it would be written “1 cup melted coconut oil,” rather than “1 cup coconut oil, melted”). Can you use real butter instead of coconut butter? I think a mixture of cream cheese and butter would work as a replacement for the coconut butter, but I can’t exactly say for sure the sub ratio. If you try it, let me know how it goes! Can’t wait to try these. 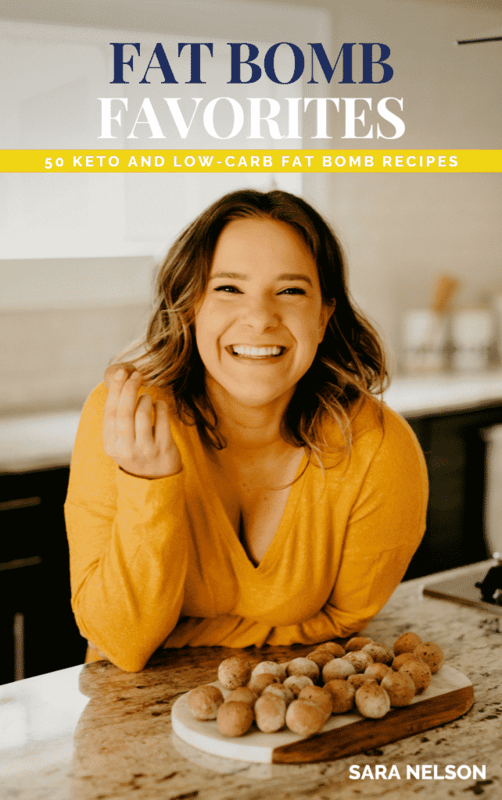 Fat bombs keep me in ketosis better than anything I could buy off the shelf. thank you for sharing. Question: They appear to be coated, are they? They are so yummy! They are not coated in anything. 🙂 Thanks and enjoy! Would liquid Stevia work instead of powdered stevia? If so, how much liquid Stevia should I use? Hi, Tiffany! Yes, liquid stevia would work great here. Every brand is a little different in terms of potency, so I’d recommend starting with a couple drops, taste testing, and then adding more based on your sweetness preference. Do you think almond four would work in this recipe ? hi, Therese! I unfortunately don’t think almond flour would work in this recipe. If cashews are an issue for you, I have a lot of cashew-free fat bomb recipes. Thanks! I have a silly question. Do you drain the water off of the cashews before you use them in the recipe? Native Alabama girl here. Gulf Shores is definitely in ALABAMA. We don’t have many miles of coastline to claim. But what we have is beautiful and we like to claim it all. 🙂 Can’t wait to try these. Thank you for clarifying! 🙂 I have so many great memories of Gulf Shores and taking annual trips there. Such a beautiful area! I hope you enjoy the recipe! I’m wondering if you’ve tried this (or any of your other fat bomb recipes) with sunflower seed butter? One of my granddaughters is allergic to ALL nuts! So I try not to use any nuts (or almond extract) in any treats.